Rick Wester Fine Art is very pleased to present the first solo exhibition in New York of work by the Los Angeles-based artist, Lilly McElroy. 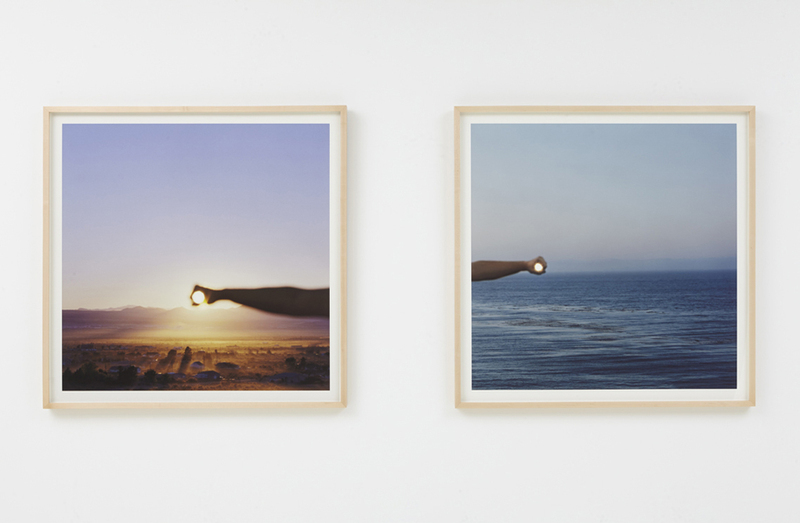 Titled I Control The Sun, the works on view delve into McElroy’s interest in exploring the American landscape as a stage for performances where she combines personal interaction with cultural commentary. She states, I grew up in southern Arizona, surrounded by cliché representations of my own experiences. There were cowboys riding bulls and coyotes howling on moonlit nights. There were epic sunsets and there was implied violence... My relationship with the place that I am from has partially become a performance for the camera and the new relationships that I am trying to form are headed in that direction. It is through these performances that I attempt to develop authentic ties, to give the cliché new and personal meaning. 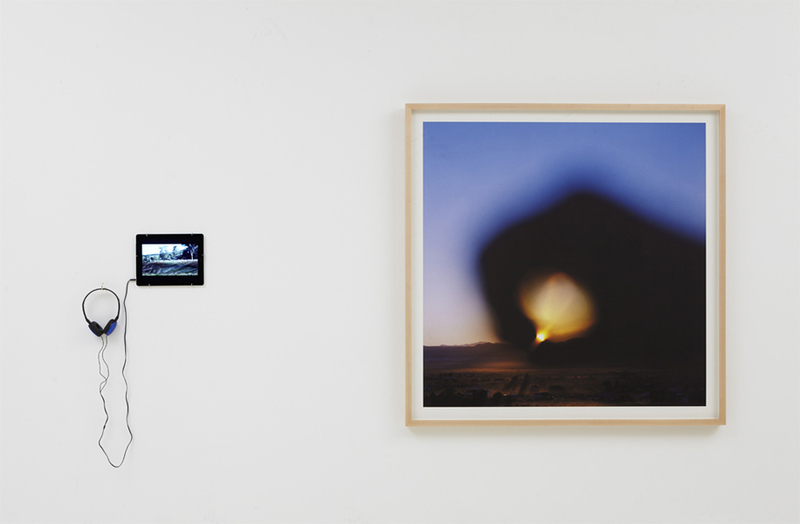 The current exhibition features recent work dating from 2011 to 2014, primarily focusing on images from her photography project I Control The Sun. 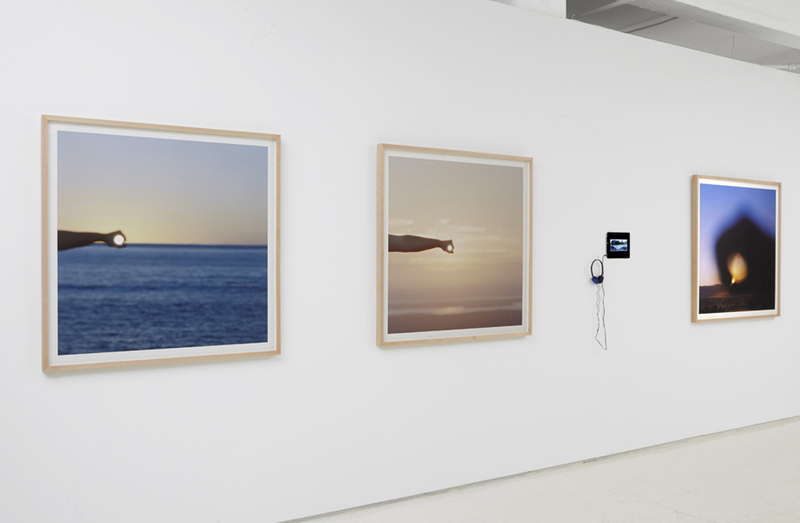 Although the work refers to self-portraiture, the work bears little resemblance to the current fad for selfies or indulgent self-reflection. Instead, McElroy is an active participant and protagonist consciously invading the landscape with authority. Little is left to consider beyond the frames of her images – she does control the sun and boldly makes no excuses for it. 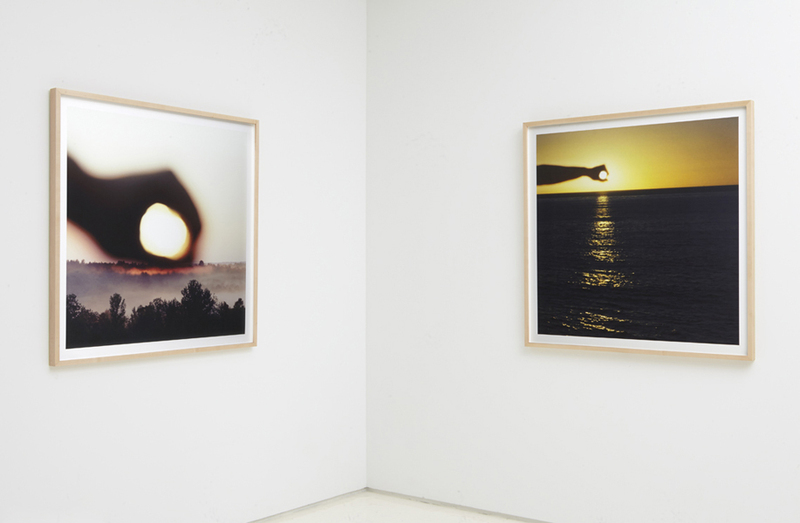 The images portray the simplest of gestures that are universally executed by practically everyone from an early age. 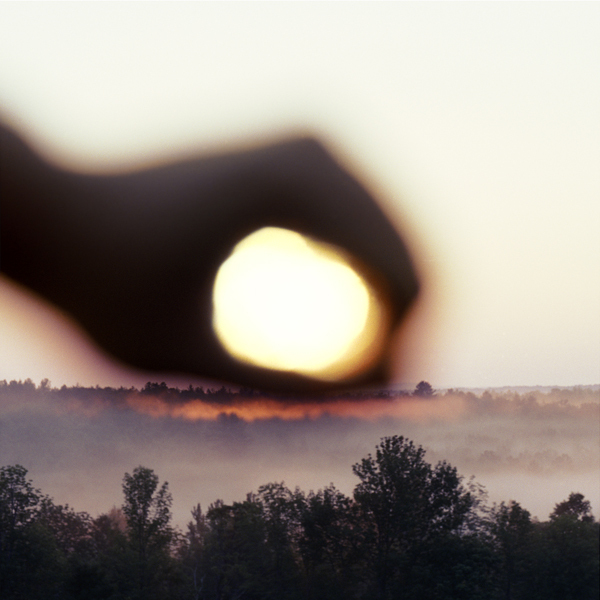 She playfully juts her hand into the camera frame, encircling the sun with her hand or pinching it between fingers- their size distorted by the proximity to the lens. In the distance, landscapes from Skowhegan to Malibu beckon, Manifest Destiny in the Post-Modern Age. On the work, she simply states, [The] photographs are part of an ongoing project in which I attempt to control the sun. An attempt is made and a photograph is taken every time I enter a new geographic location. Her amusing invasion of inspirational landscapes is a theme that is also present in McElroy’s video work. 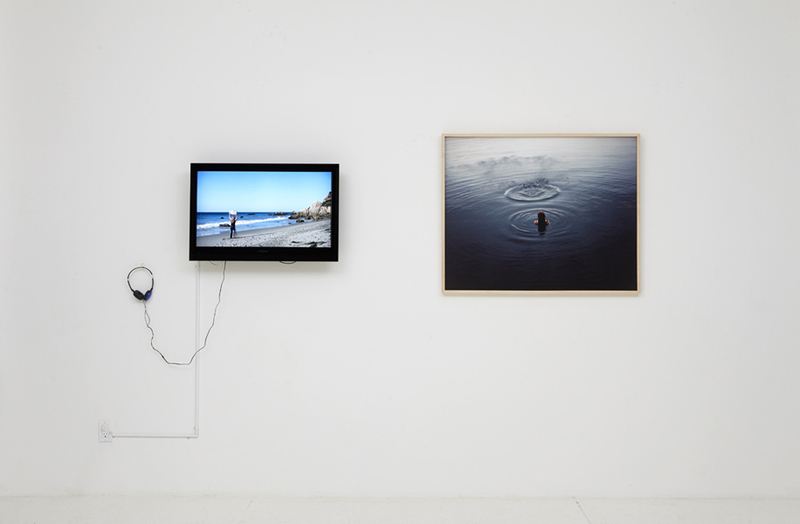 Hopeful Romantic (2011), also included in the exhibition, finds McElroy documenting her cross-country trip from Maine to California to be reunited with her husband. She filmed herself from behind, dancing while playing Bruce Springsteen’s Dancing in the Dark on a boom box to unpopulated, quintessentially American landscapes. In A Woman Runs Through a Pastoral Setting, she literally throws herself into the scenery. The concept of hurling her body as a metaphor for intimacy is a theme that she previously visited in her project I Throw Myself At Men (2006-2008), a performance documentary series where she had friends photograph her as she jumped into the arms of men willing to catch her in bars in exchange for a drink. An inveterate prankster, there is more than a touch of irony and humor in McElroy’s work, recalling the best of Fluxus and Performance Art of the 20th century. All works © Lilly McElroy.